If we don't have a book or article you need, fill out an interlibrary loan request and we'll try to find another library who will lend us the book for you. (You'll need a TMC library card number to submit an ILL request). This is a free service for HCC Coleman staff and students. The following are just a few of our online journals on Physical Therapy. To search all online journals go to the list of eJournals. You can search by title or subject. 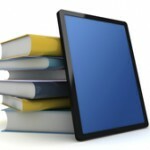 The following are just a few of our online books on Physical Therapy. To search all online books, go to the list of eBooks. You can search by title or subject.